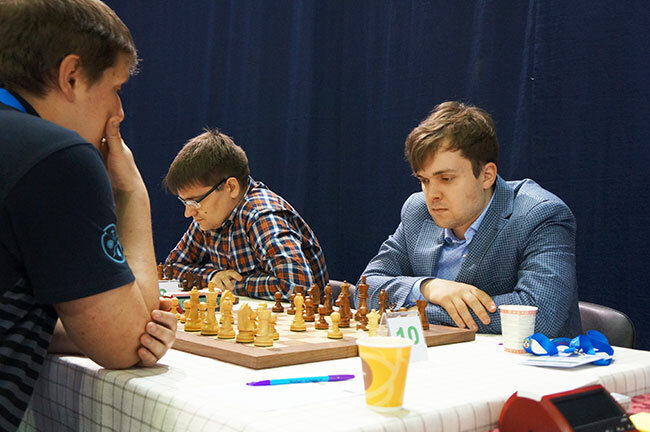 22-year-old Russian Grandmaster Vladimir Fedoseev has had a great year – he won the Aeroflot Open and qualified to face Kramnik, MVL and co. in Dortmund, came very close to winning both the Winter Chess Classic in St. Louis and the GRENKE Open and then starred for his team in the Russian Team Championship, where he crossed the 2700 barrier for the first time. IM Dorsa Derakhshani talked to the young star before his appearance in the European Championship. 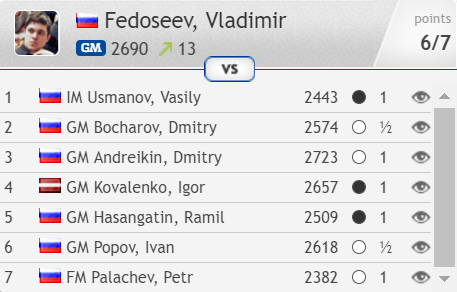 Vladimir Fedoseev officially crossed 2700 on the June 2017 FIDE rating list, where he’s rated 2703 in 47th place, while on the live rating list two wins so far in Minsk have seem him climb a little higher. Dorsa Derakhshani: Hi! Congrats on crossing 2700! How do you feel? 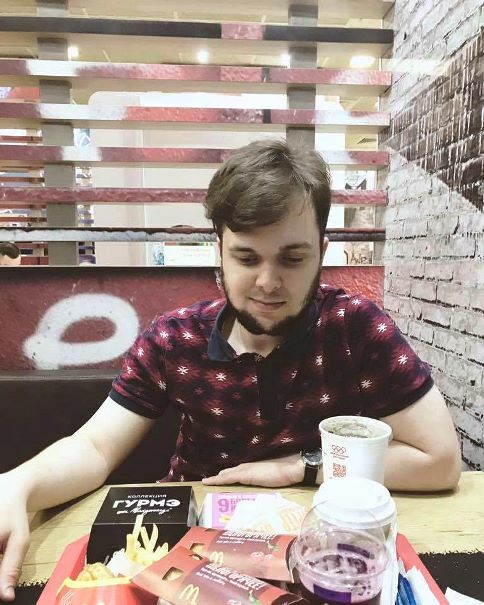 Vladimir Fedoseev: I feel fine. I’ve been waiting a long time to cross it and now I know it’s not enough and I want more. After the Russian Team Championship I have many different feelings because my team didn’t do so well and I wanted to do my best and see my team get the best. Usually when players cross a milestone they do something crazy What did you do? Well, firstly I didn’t realize when I crossed it! But when I did, somehow I lost motivation for a little while and after that day was over I felt powerful and knew I could do better. In the same event I played some nice games. For example, I outplayed Andreikin in the Queen’s Gambit, Kovalenko and so on. 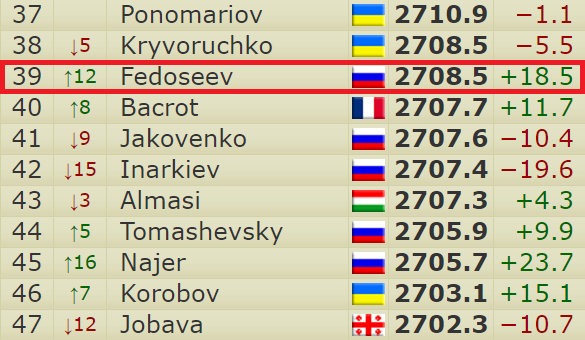 It’s never easy to beat these strong players, especially in team events, since nobody wants to get beaten. So far 2017 has been a good year! Your success started with winning Aeroflot, right? Yes, I performed really strongly and beat many good players and finally won the tournament. It gave me more energy, but then in the next two tournaments (the Winter Classic in Saint Louis and the GRENKE Open) I was very close to winning both events but the last games went wrong and I didn’t manage to score in them at all. When you played Aeroflot, did you expect to win? I was preparing to play this strong event and I expected myself to play good chess and not lose any games. I got seven points and also the Aeroflot time control is different and somehow the players drew more easily! What’s your favourite game of 2017? My game against Huzman – the first win of the year. It was a classic game against the Queen’s Gambit and I was playing nicely. It would be good to have it in a book if I do a book of my best games in future! Now that it’s out there, which was your favourite game of another player in 2017? The game when Mamedyarov beat Kramnik with Black in Shamkir. Many interesting moves and ideas - also it’s not easy to beat Kramnik with Black. That game is the one for me! Let’s go back to how you were introduced to chess! Was it something passed on to you by your family? My father used to play chess a lot and he was close to getting the USSR master title back in his day. My parents decided to show me how to play chess and then I started to play chess when I started school. I went to the “Rook” Chess Club in St. Petersburg. You were seven years old, right? Did your father coach you or did he get you another trainer? Another trainer! Then I changed clubs and trainers again and again until I was introduced to Grandmaster Denis Yevseev, who I worked with a lot, and he created my chess style. He made me a big player and gave me my style. He created your style? How? I was young and I was reading many books before I started with him. I was not a bad player, but he trained me in all aspects of chess and showed me many ideas and gave me the knowledge to work and understand chess better. When did the Russian Chess Federation start to help you? It was around age 15-16. I started to have good results, won the U18 Russian Championship and tied for second in the 2010 Chigorin Memorial. It was around that time when the federation started to help me. Somehow people use the phrase the “Russian Chess School” or “Soviet Chess”. What do you think is so different? The style? Well, back then the Soviet Union had the players, ergo the chess culture. Nowadays I don’t think there’s much difference as everyone tries to play as well as possible according to the engines. Now we have “computer chess” it’s not about European chess or Russian chess anymore. You have a computer and you can check all of the decisions you make during the game and understand the mistakes. What about the first few years when a player is learning chess for the first time? Perhaps the Soviet way would be to teach as many classical rules and ideas as possible and teach how to use them. Soviet chess is very conceptual, but there are many ways to play good chess or make mistakes. How were your first years in chess? I read as much as possible! Book after book. Then I was trying to use the rules and ideas I got from the books. I didn’t have a computer for the first five years, so it was only books - also Informants. When I got a computer I started to play many games online. Do you still read many books? When was the last time? Yes. Yesterday My favourite one is still Zurich 1953. Could you explain how you read books? When I started playing chess, I loved playing blindfold, at a good level. I used to read books without a chessboard and it was a little strange for my parents. I was looking for new ideas in the games all the time. I was trying to teach myself from the books. Who is your coach now? I’ve been training with Alexander Khalifman since 2011. Do you have any seconds? Or are you anyone’s second? No, I have many friends who I analyse with sometimes, but not a second. Ok, I have to ask, what’s up with the beard?! Something like Magnus’s lion hair?! I thought I could cross 2700 with this beard! New style, new digits. Are you going to keep it, then!? No, no, it served its purpose. I can grow it back later, but not for now. Does poker help your chess? I used to play it a lot, but no more - now I’m just a chess player. I could improve more easily in chess so that’s what I did! In chess I could prepare and understand opponents better. Chess 1-0 poker. I remember I saw you making some series for a website. Could you explain more? We were really optimistic about the project but at the beginning of 2015 I wished them the best and quit. How was your time as a student in school? Any plans for university in future? Does attending university really kill your chess?! 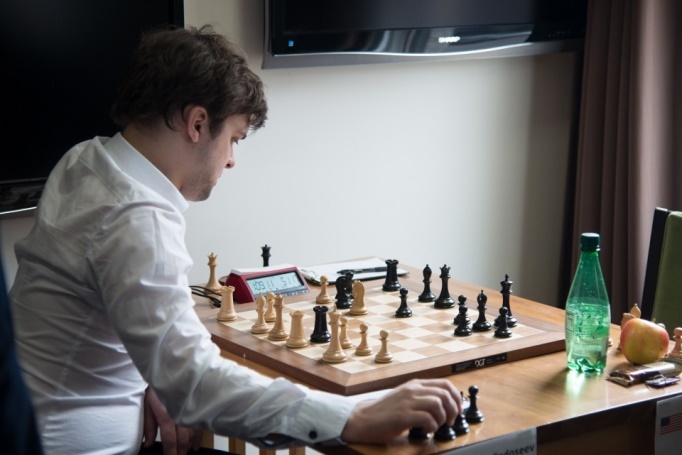 I started university in 2013, but in 2015 I decided to concentrate on my chess career while I’m still young! I hope I’ll continue my education after one or two years. Are you thinking about studying abroad? Maybe with one of the universities which gives chess scholarships? Yes! I am interested in those, but not for this year. What’s your goal in chess? To win as many tournaments as possible! Future tournaments: The European Chess Championship in Minsk, then I’ll play the Higher League (a qualifier for the Russian Chess Championship in December) and Dortmund - hoping to win at least one of those events! After 17.Ne1! 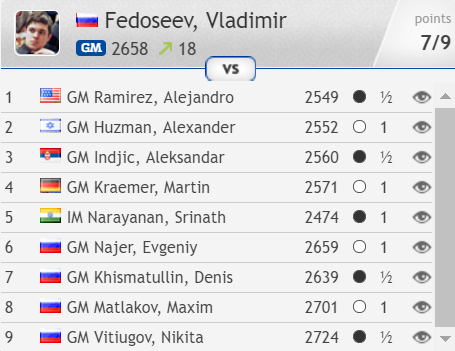 the black knight on g4 would be doomed, and although Fedoseev has real threats computers tell us it's possible to keep most of the advantage. Instead after mutual amnesties 17.fxg4?! fxg4?! (17...cxd3!) 18.Qe3 (18.Nb4!! Qxb4 19.Nd5!) 18...cxd3 the worst was over for Fedoseev and he went on to outplay his opponent in the complications. 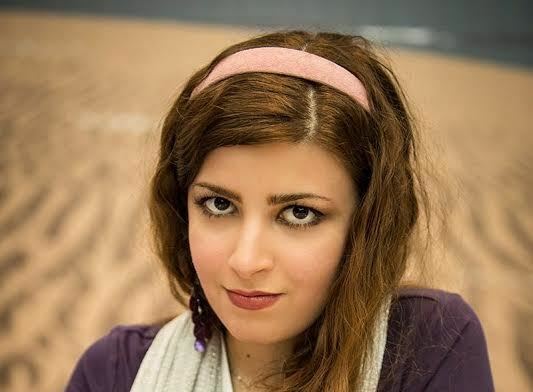 Dorsa was born in Tehran, Iran in 1998 and now lives in Barcelona. Both an International Master and a Women's Grandmaster she has a peak rating of 2405. She's also a 3-time winner of the Asian Youth Championship, from 2012 to 2014. Check out her chess24 series Beat the GM! Richard Rapport: "I don't really have any support"